I'm back from the wilds of Mongolia and am catching up on all the news from the world of outdoor adventure that took place while I was away. One of the big stories we had been following before my departure was the unfolding of the climbing season in the Karakoram and Western Himalaya. When I left, the teams were still getting settled into Base Camp, and were beginning their first acclimatization rotations. Now, a few weeks later, the situation is very different, with climbing operations coming to an end on one mountain, while the final summit pushes are underway on others. 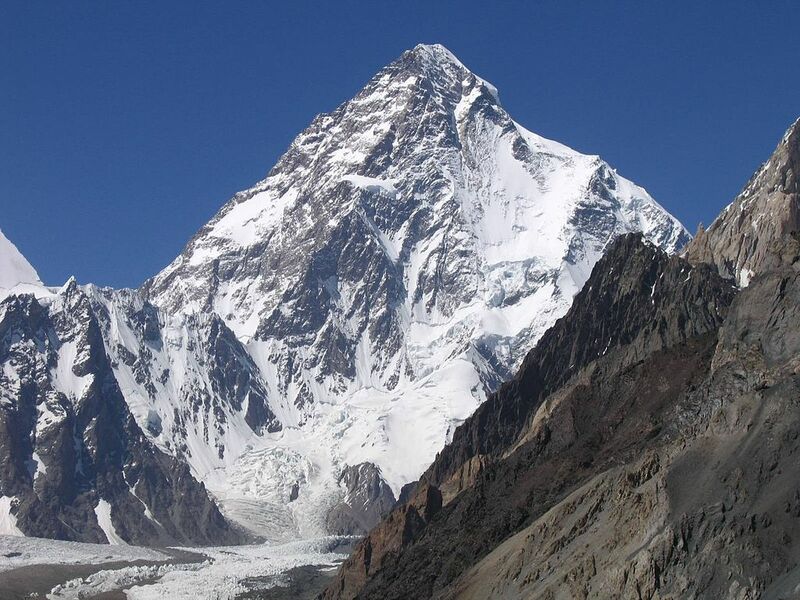 The big news from this past weekend is that a massive avalanche on K2 has brought an end to the season on the world's second tallest mountain. The avalanche hit Camp 3 on Saturday morning, destroying the tents that were built there, while also washing away the fixed ropes and cache of bottled oxygen that was put in place for upcoming summit bids. Fortunately, no one was in C3 at the time, although there were several teams in Camp 2 and other points on the mountain. All have retreated back to BC due to bad weather conditions. Now, it seems the teams have decided that the mountain is too unsafe to climb this year, and it appears that most are packing their bags to go home. The avalanche wiped out a lot of hard work to fix ropes and establish C3. With time starting to run short, poor weather a common occurrence, and a lack of bottled oxygen, it now seems like the season is over, at least for the major commercial teams. There are a few independent climbers who are hoping to rally the troops and have another go at the mountain however. They are currently eyeing an early-August attempt, weather permitting. Meanwhile, ExWeb is reporting that the final summit pushes are now underway on Nanga Parbat and Broad Peak. Fern Latorre, Helias Millerioux, Boyan Petrov are all pushing to the top of NP today, while Spaniard Oscar Cadiach and his team are hoping to top out on BP. ExWeb says that if Cadiach is successful, this will be his 14th and final 8000 meter peak for his resume, all of which have been climbed without the use of bottled oxygen. Finally, over on Gatherbrum II, a Polish team has been struggling with poor weather all season. They had hoped to reach the top early this week, but deteriorating conditions on that mountain were enough to keep them confined to their tents over the weekend. There are no updates on their progress at this time, but hopefully we'll know more soon. That's it from Pakistan for today. I'll continue to keep an eye on the mountains for further updates. The season is rapidly coming to close once again, but there are still a few stories to come I'm sure. New Climbing Rules for Everest? The 2016 Tour de France Begins Tomorrow!